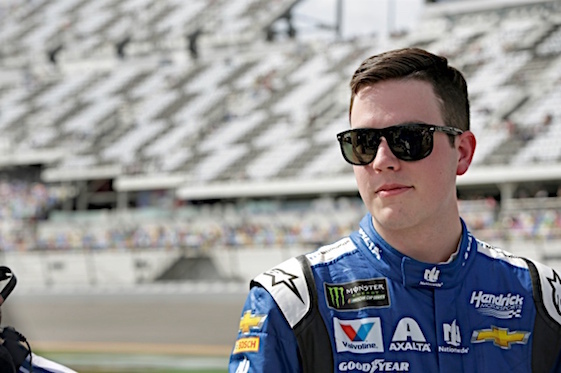 DAYTONA BEACH, Fla. – Alex Bowman became a household name last year when he succeeded Dale Earnhardt Jr. in the No. 88 Hendrick Motorsports Chevrolet and then won the Daytona 500 pole. However, the 25-year-old driver said Saturday he doesn’t believe he’s changed much as a person. “I still drove my own truck and trailer to-and-from the Chili Bowl (in January) and (I) still went racing all winter,” Bowman said at Daytona International Speedway prior to practice for Sunday’s Clash. “I feel like I’m working harder than I ever have and doing more to prepare than I ever have. The Arizona native believes Sunday’s Clash will provide a glimpse into the rest of Speedweeks. “Obviously, it’s such a different race because it’s 20 cars versus 40 cars,” Bowman said. “(But) I think it’s kind of nice to have some drafting practice this early in the week and be able to think about it for a week instead of not getting any drafting practice until the Duels. JTG Daugherty Racing is celebrating its 25th anniversary and it’s starting the 2019 season with a new engine supplier. For many years, the Harrisburg, N.C.-based team received its engines from Richard Childress Racing, but this year its powerplants will come from Hendrick Motorsports. Aric Almirola was less than a mile from winning last year’s Daytona 500 when a bump from eventual victor Austin Dillon sent him careening into the third-turn wall on the final lap. It was an emotionally devastating time for Almirola, but the 34-year-old Floridian said Saturday he didn’t want people to see a temper tantrum from him. Burton led 48 of the 86 laps in the race that was slowed by five caution flags for 30 laps. He averaged 126.655 mph. Burton’s victory came the same day that John Menard, ARCA President Ron Drager and NASCAR Vice Chairman Mike Helton announced Menards had signed a multi-year contract to become the series title sponsor. It will now be known as the ARCA Menards Series. Drager said the deal would never have occurred if ARCA hadn’t been under the NASCAR umbrella. NASCAR announced last spring it had purchased ARCA. The executives noted Menards’ customers and ARCA fans were synonymous.